And oh, and what a club it is – complete with celebrity members ranging from Paris Hilton to Michelle Rodriguez to Nick Nolte. Somewhere between 2:30 and 3:00 Sunday morning, Shia LaBeouf was attempting to make a left turn when his truck made contact with another vehicle, causing his truck to flip. According to sources, it was apparent that the injured Shia was intoxicated; he was arrested for a misdemeanor. The 22-year-old actor was taken to Cedars-Sinai Medical Center where he was treated for injuries to his head, knee, and hand which required extensive surgery. There was a female passenger in LaBeouf’s car, but neither she nor the driver of the other car was seriously hurt (guess he won’t be the next Lane Garrison or Nick Hogan – not yet anyway). 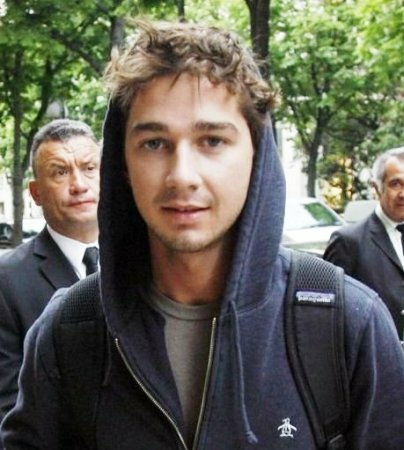 This is not Shia LaBeouf’s first run-in with the law though it’s by far the most serious. Late last year he was arrested after causing a drunken scene in a Chicago Walgreen’s; the charges were later dropped. Then in the beginning of this year LaBeouf was busted for smoking in a non-smoking area of Burbank, CA. Now he’s flipped his truck and injured himself to the point of needing surgery. I’m starting to think Shia LaBeouf has started falling down that oh-so-slippery slope. Take this DUI arrest and car accident as a wake up call Shia LaBeouf, you’re better than this. Remember these celebrity DUI mug shot gems? Oh so many more celebrity mug shots at The Smoking Gun. previous post: No One Cares If You Drown In Rome. next post: Amy Winehouse Hospitalized (Again) And Ryan Seacrest Gets Bit. 50 queries in 0.663 seconds.